Beautifully crafted Coke braised short ribs inspired by my visit to the 2015 Food Network & Cooking Channel New York City Wine & Food Festival. A few weekends ago, I had the pleasure of attending my first NYCWFF, the Food Network & Cooking Channel New York City Wine and Food Festival. It was truly a foodie’s dream come true, which means I was in absolute heaven. 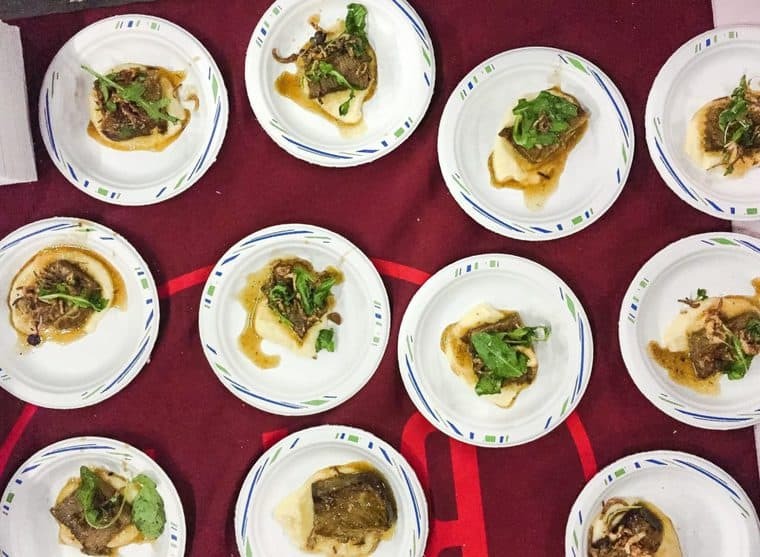 Thanks to NYCWFF sponsor Coca-Cola, I was up front and personal with one of the best food and wine festivals in the country. I have attended many food festivals in my day, and this one is seriously one of the very best. When I began my day, my first stop landed me at the Coca-Cola lounge. This lounge was such a highlight and truly a hub for engagement and relaxation in the middle of several restaurants and food demonstrations. I honestly found it hard to leave. 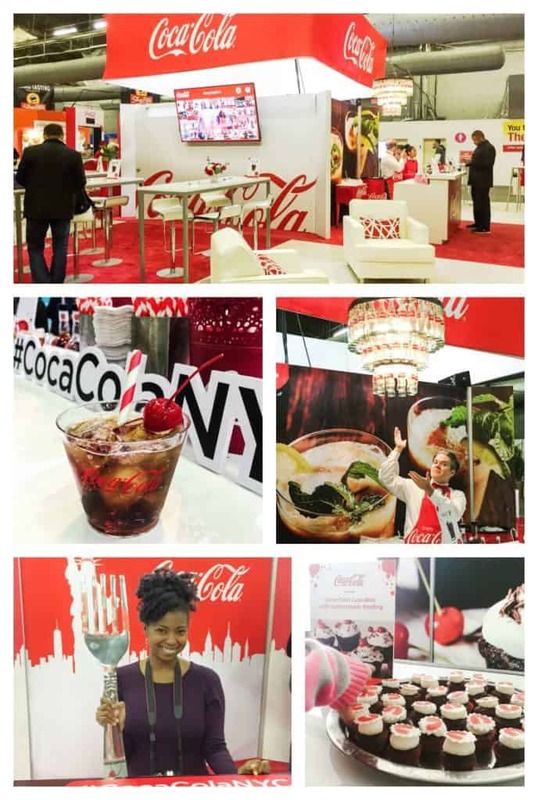 From the speciality beverage to the interactive social media photo booths, I had a blast and loved seeing Coke’s creative contribution to this event. After finally peeling myself away from Coke’s area, I toured two different spaces at the festival, including the inside space filled with New York’s top chefs and restaurants serving dishes for sampling and a very cool tailgating rooftop space that was the icing on the cake. New York is always on the cutting edge of what’s next in the food world, and I definitely saw a lot of ingenuity and excitement in the dishes presented. Let’s say I left incredibly inspired. One dish I ended up enjoying at three different booths was a classic short rib. First of all, I LOVE short ribs. They taste magical and melt in your mouth. And secondly, I loved seeing braised short ribs served in several different capacities with a classic braised preparation. 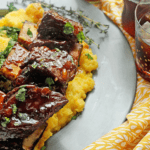 Whether they were served with mashed potatoes or polenta, I fell in love with the short rib once again and couldn’t wait to make a fun NYCWFF inspired dish when I returned home. After some thought, I decided it would be wonderful to bring Coke and Short Ribs together for a lovely collaboration. I married the zen and comfort of the Coca Cola areas around NYCWFF with the flavor of the short rib. By braising my short ribs in a Coke laden liquid and adding a few additional flavors such as soy sauce and brown sugar, the ribs really brought out that signature Coke essence we all know and love. The results are a sweet yet savory short rib recipe that is the perfect dish to serve for any special occasion or holiday around the corner. I served them over a bed of polenta with a simply sauteed garlic kale. 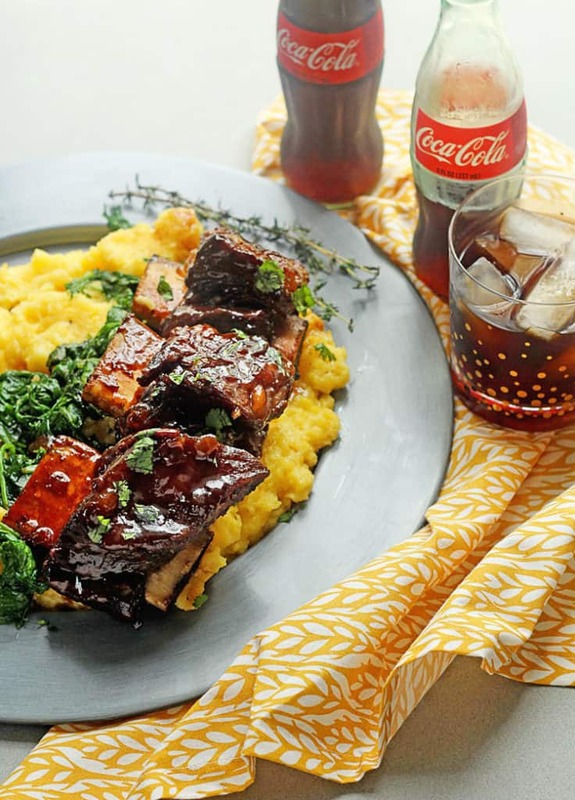 I cannot tell you how much I adore this Coke braised short ribs recipe. I will be making this Coke braised short ribs time and time again. Seriously, someone had to force the fork out of my hand. NYCWFF has truly inspired me to try new and different techniques in the kitchen, and for that and Coke’s influence, I will be internally grateful. And so will you once you taste this Braised Short Ribs Recipe. And this was even better paired with my easy homemade garlic bread recipe. Add olive oil to large pot or dutch oven over medium high heat. Next add short ribs to the hot pot. Liberally season with salt and pepper to taste. Sear ribs on all sides until golden brown. Once beef is finished searing, remove from pot, drain on paper towels, and place to the side. Next add chopped onion and bacon to pan and brown until onion is tender. Add garlic and only cook for 30 seconds. Sprinkle in flour and stir together and cook for about 2 minutes. Pour in Coca-Cola, beef stock, and soy sauce then stir in brown sugar and whisk until everything is smooth. Add thyme sprigs then bring the braising liquid to a boil. Once boiling, return beef short ribs to liquid, cover with top and place in the oven for 2 - 2 1/2 hours or until ribs are completely tender (easily separated with a fork) and the liquid has thickened into a gravy that has stuck to the ribs. Serve with polenta and sauteed kale if desired and enjoy. I would definitely put them in for the full 8 hours and see if they are tender and leave in longer to see checking an hour after until you get them completely tender. Do I need to make any adjustment for boneless short ribs? It is all I have on hand. These look AMAZING and I need to make them!!! I am looking into crockpot recipes and wondering if I could make this in the crockpot. What are your thoughts?? Another gem! This is the third recipe I’ve tried from your blog. It is so delicious. Tonight my husband told me to stop saying I can’t cook because I’ve hit three home runs! AWESOME! I’ll bet these are just so savory-sweet fantastic. I made these minus the bacon (only because they were frozen and I didn’t want to wait to thaw). They were amazing!! 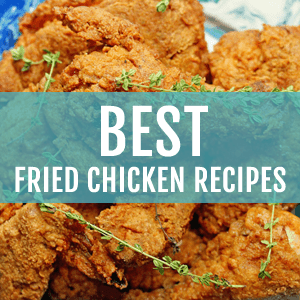 I’m definitely adding this recipe to the rotation. Hooray! I’m super glad you enjoyed this recipe! How delightful do these look Jocelyn! One of my favorite entrees paired with my favorite beverage. 🙂 Oh the succulence of it all! Thanks for sharing. What a fun event to attend, and all of that wonderful food! And your ribs look so delicious! Hi Jocelyn, can’t wait to make this! Hubby is not a polenta fan. I was thinking mashed potatoes instead but was curious if you had another suggestion as potatoes is always a go to with beef. Thanks! YES! You can definitely pair this with mashed potatoes and it will be sensational. Let me know how it turns out! Oh how I love a good short rib! Great for serving crowds and these look fantastic! Thank you so much Felesha!! Looks like the event was so much fun! And these ribs, braised in coke – yes please! 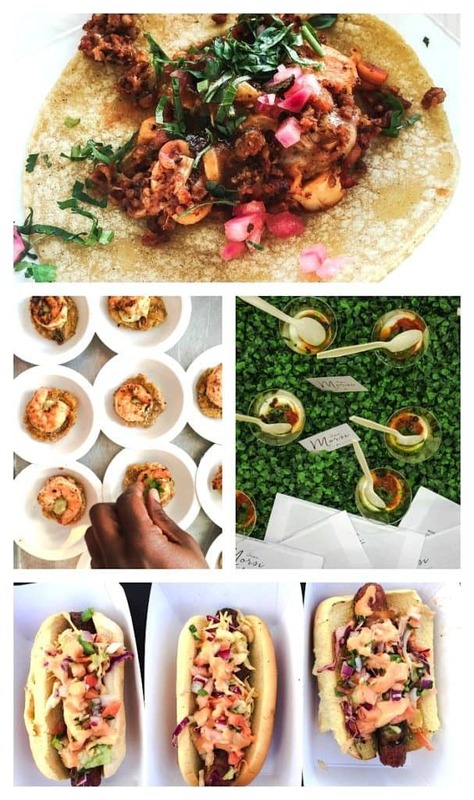 NYCWFF sounds like so much fun! And this dish is outta sight. 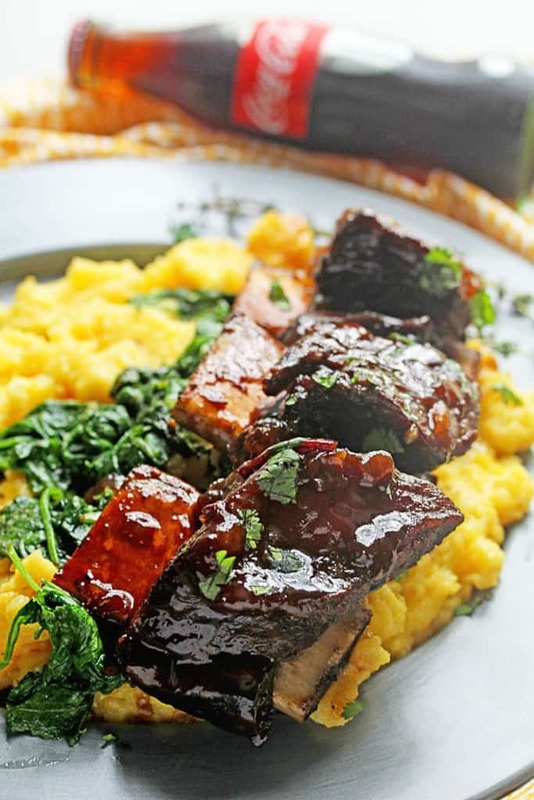 Love the polenta and kale with those shortribs, and that Coke glaze- oh my! 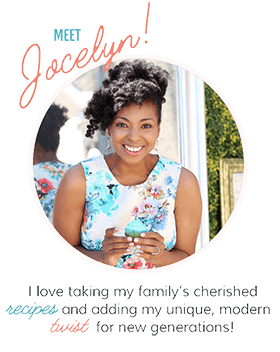 Sounds like an awesome trip Jocelyn! And these short ribs! Fantastically flavorful!! 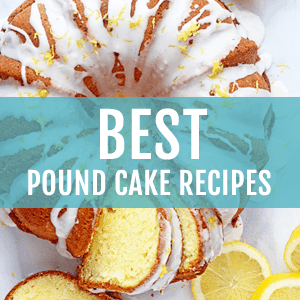 You are KILLING it with these coke recipes girlfriend! Short ribs are one of my favorite things EVER, and these look seriously amazing! SO jealous of the trip, HOW FUN! These short ribs look out of this world! Oh I love the idea of a coke chicken! My goodness, these short ribs look amazing, Jocelyn!! That conference looked like a ton of fun! This is seriously such an awesome food festival! Wow, that is one giant fork you’re holding at the Coke booth! I’d have a hard time getting away, too. 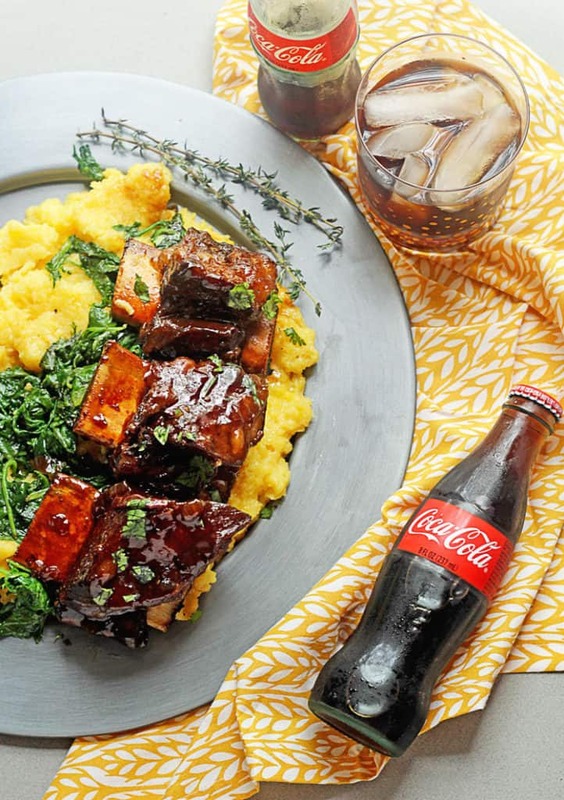 Coke has always been my happy place, and I love the idea of using it with short ribs! I love that giant fork and tried to take it home with me. And these short ribs are seriously the bizness. It was such a fun fun time!